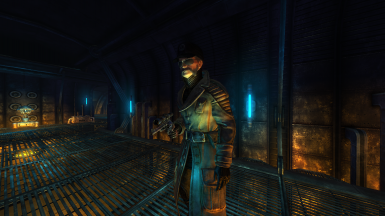 I really enjoy For The Enclave, it's definitely a must have in just about any New Vegas playthrough for me. 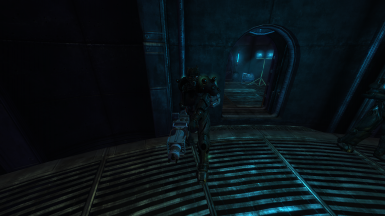 However, one of the flaws with the mod IMO is the armor choices, so, I opened up GECK and went to work! 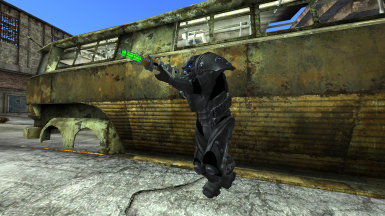 Basically what this mod does is change the armors and clothing that the troopers and some prominent named characters have in an attempt to be more consistent with Fallout 3, especially if you plan on using TTW and FTE in a single playthrough. This will also provide a cheat for the player bunker. NOTE: Almost every ESP requires another mod. 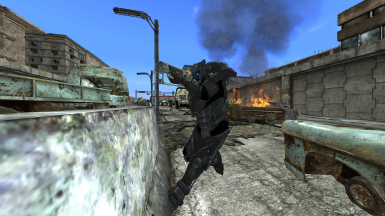 EnclaveArmorTTW: What this does is make the armors used by the Enclave troopers match that of the Fallout 3 Enclave, meaning that rather than seeing the remnants power armor or remnants tesla armor, you will instead see the Enclave power armor, tesla armor, and Enclave hellfire armor from Fallout 3. Requirements: This esp will require Tale of Two Wastelands, because the Enclave hellfire armor is used, which is an armor from TTW. Location: All three armors can be found on the dead bodies of Enclave personal from both D.C. and in For The Enclave. Additional notes: You may notice the images show the armors using a different texture, that is another mod of mine that can be found on my profile. 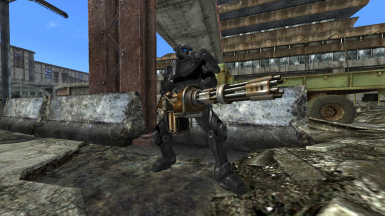 ClassicDornan: What this does is change the armor and weapon Colonel Dornan Jr. uses in order to make him better resemble the original Sergeant Arch Dornan, this means he wears a set of the classic advanced power armor and has a plasma caster, just like Fallout 2's own Sergeant Arch Dornan. 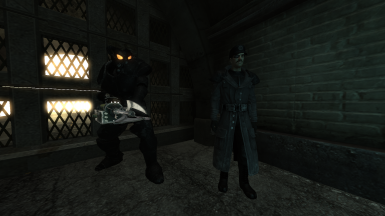 Requirements: This esp will require the Classic Advanced Power Armor - Improved Meshes and Textures mod, as that is the armor Dornan Jr. will use. 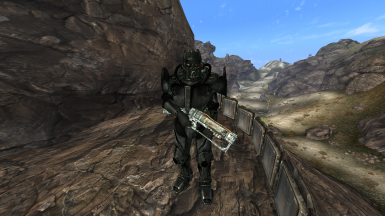 Location: The original advanced power armor mod has a cheat chest behind the gas station in Goodsprings which has 10 copies of the armor. 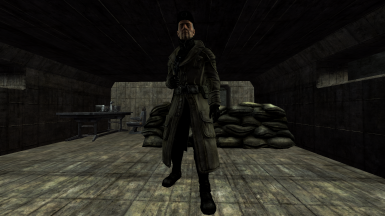 GeneralJNewLook: What this does is replace the boring reskin of General Oliver's uniform that General Jamison uses with a badass dark blue trenchcoat over a set of black combat armor, with an Enclave officer hat to top it all off. Requirements: This esp will require The BLACKJACK pack - Tons of armors for VANILLA bodys, because General Jamison will use the Van Graff Deathsquad armor, an armor from the pack. Location: The original mod also provides a cheat chest, which is found behind Victor's shack. RivalEnclaveArmor: What this will do is replace the armor the Richardson Elite troopers use with a new set of armor, in an effort to make them look a little more unique. 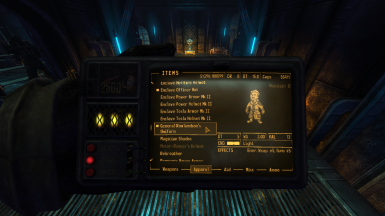 Requirements: This esp will require the HD Advanced Power Armor for New Vegas, because it is the armor that is replacing the old one. Location: It can be found on dead Richardson Elite soldiers, however the original mod also includes a set that can be found on a unique deathclaw somewhere in Quarry Junction. Additional notes: If you notice that the sets worn by Richardson Elite soldiers is in very poor condition, that is completely normal. This is the case because the armor is very strong, and giving the enemy troops the armor at full condition made them nearly impossible to kill. GeneralRNewLookTTW: What this will do is replace the reskin of Oliver's uniform that General Rowlandson uses with a completely new uniform I made, called General Rowlandson's Uniform. 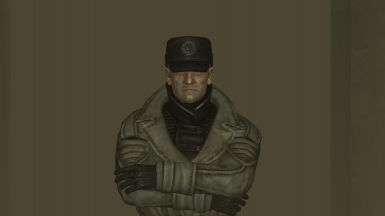 Requirements: This esp will also require Tale of Two Wastelands, because the textures and meshes used for the uniform are identical to Colonel Autumn's Uniform, clothing seen in TTW. Location: It can be be found on General Rowlandson's body. 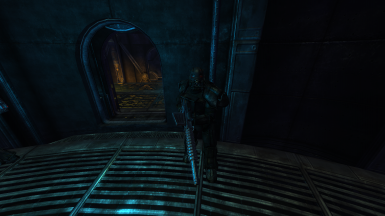 Requirements: You will only need the original For The Enclave mod to use this, no other mods necessary. Simply install with your mod manager of choice, and enable whichever esps you want.